Stanford University professor Philip Low is developing a device that is intended to monitor brain waves from a human and convert them into letters, words and sentences. He has been testing what he calls the iBrain with world-renowned physicist Stephen Hawking with the hope that it will one day allow him to communicate more easily. The device, originally intended to be an at-home sleep monitor, could best be described as a work in progress. Daily Mail notes that Hawking was outfitted with a special black headband containing neurotransmitters and was told to think about scrunching his hand into the shape of a ball. Doing so was able to create a pattern on the device that Low hopes can one day be translated into written communication. Hawking was diagnosed with amyotrophic lateral sclerosis (ALS) at the age of 21 during his time in graduate school at Cambridge. 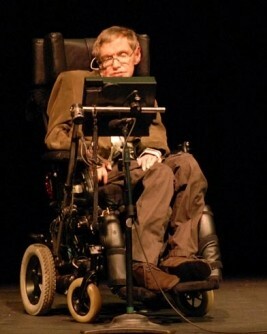 It’s uncommon for someone with this motor neuron disease to live more than 10 years after diagnosis but Hawking is an exception as he turned 70 earlier this year. His condition has progressed slower than most, although he lost the ability to speak 30 years ago and is now almost entirely paralyzed. He has to rely on sensor inside his mouth to communicate which is becoming increasingly difficult as his condition continues to deteriorate. Low is expected to share his findings at a conference next month where Hawking might even demonstrate the iBrain device for those in attendance.